The eco friendliness of eucalyptus floors: An in-depth look. 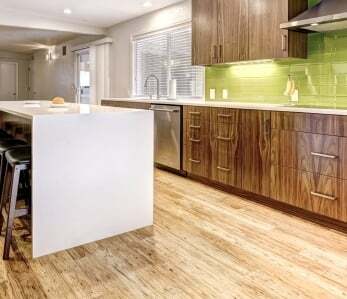 Home › Flooring › Is Eucalyptus Flooring Eco-Friendly? Does It Grow Fast? Is Eucalyptus Flooring Eco-Friendly? Does It Grow Fast? Today the environment is more important to us than ever, so it’s not surprising that many of us are looking at possible ways to make our homes greener. Doing so could be something as simple as increasing the amount you recycle by seeking out local recycling facilities – especially if your curbside collections are less than ideal – but it can also extend to making more eco-friendly choices about the products you bring into your home. Making the greenest choices for purchases is not always easy, whether it’s something small such as a cushion, or something more substantial, such as floors. 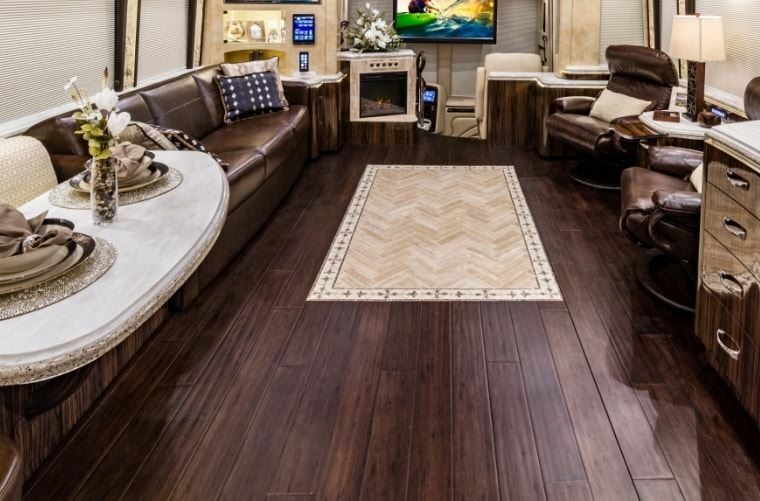 As the name suggests, it’s flooring planks made from the wood of the eucalyptus tree. 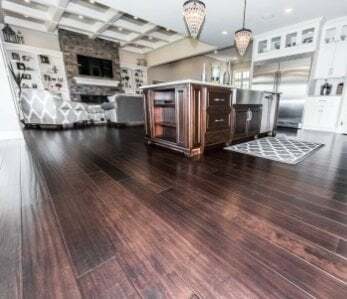 Over the past couple of decades, eucalyptus floors have become more mainstream, and now it is relatively common to see them in homes and businesses across the world. The eucalyptus tree, while most commonly associated with Australia, can be found all over the world, including in the USA. It was introduced to North America by Australians during the 1849 California Gold Rush. There are more than 700 varieties of eucalyptus trees, which have been used to make everything from fuel to flooring to face creams. In this section, we will describe why eucalyptus makes an excellent green flooring option suitable for just about any area. Eucalyptus trees can be harvested in as few as 3-5 years, making them a rapidly renewable resource. Some species of eucalyptus can grow at a rate of 12 feet per year and achieve the massive height of 300 feet. Hardwoods, on the other hand, take around 60 years to fully mature. This vast difference in maturity rates puts eucalyptus trees more on par with bamboo plants, which reach maturity in 5 to 7 years. Apart from their fast-growing times, rapidly renewable plants are beneficial for the environment in other ways too. They don’t require as much water and fertilizer as other plants, which puts far less pressure on the ecosystem. When choosing a product to make your home more eco-friendly, an important question to ask is “will this stand the test of time?” There is little point in buying a product that will need replacing within a few years; doing so is generally a waste of materials and money. Eucalyptus floors, however, are renowned for their hardness. They’re able to stand up to heavy foot traffic, even in commercial areas such as restaurants, coffee shops, and bars. Therefore, they should have no problem lasting decades in your house. If you want to boost the durability of your eucalyptus floors, then opt for strand woven eucalyptus, which is two times harder than traditional eucalyptus and beats oak by far on the Janka Hardness Scale. Strand woven eucalyptus is created by cutting eucalyptus wood into thin strips. These strips are then woven together and fused via high heat and hyper compression to create an even stronger version of eucalyptus wood. 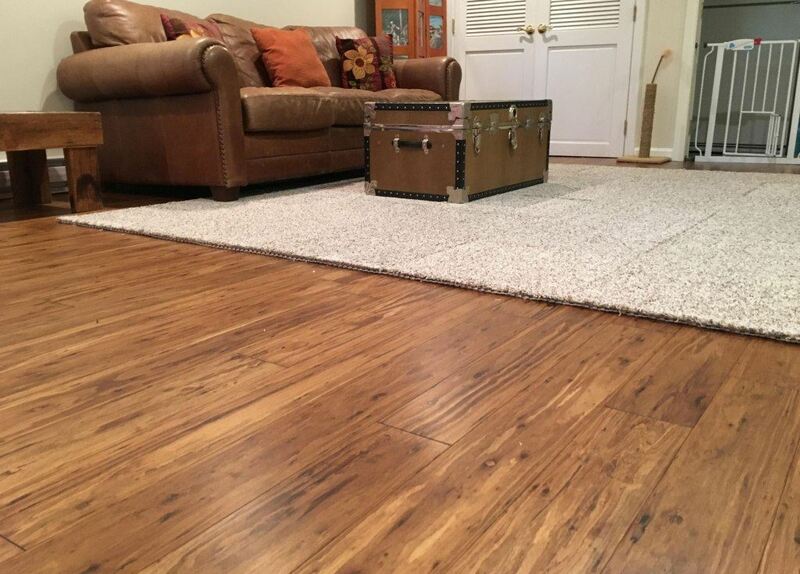 Strand woven eucalyptus flooring is a massive three times harder than traditional eucalyptus flooring. 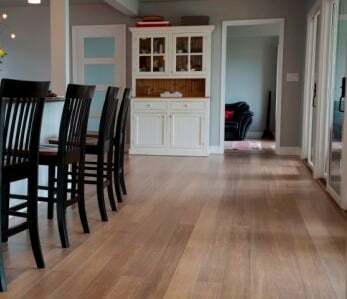 Another significant benefit of eucalyptus floors is they can be refinished should they start to wear or lose their water resistance, saving you the cost and inconvenience of buying a whole new floor. In addition to saving you money, refinishing uses fewer resources. While most wood floors can be refinished as years go by, the big difference is that eucalyptus floors are more durable than hardwood floors in the first place; this means they will need to be refinished perhaps a just couple of times throughout your life. Compare this with every ten years for hardwood floors. Few people enjoy cleaning, so less time spent doing so means more time to do the things you do enjoy. Eucalyptus floors are ideal from that perspective. Neither do you need to bring out the industrial strength (and heavily polluting) chemical cleaners nor buy any specialized cleaning equipment. It’s always important to make sure that the manufacturer you are buying from meets specific standards for environmental protection. Doing so means that the eucalyptus is grown sustainably, without using harmful pesticides or making the soil infertile. The best way to check is to ask the manufacturer if their eucalyptus is Lacey Act certified, which guarantee that all parties involved, including the farmer, manufacturer, and transporter, abide by strict guidelines to protect the environment from illegal logging. Most commercially grown eucalyptus is found in either Brazil or China, but the most eco-friendly manufacturers will opt for the Chinese plant. Undoubtedly shipping flooring planks from China to the US constitutes some carbon footprint. However, most hardwoods grown in the US are sent to China for processing and manufacturing. 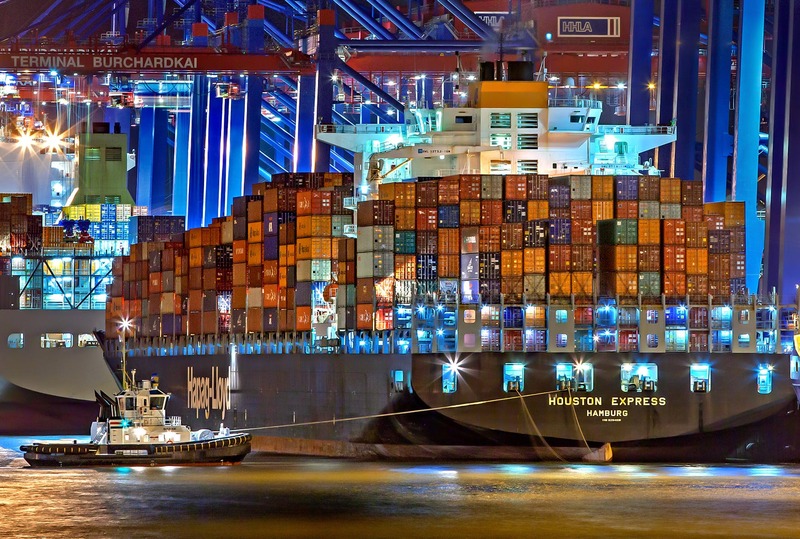 Perhaps surprisingly, it’s cheaper to send hardwoods on a round-the-world trip for manufacturing than it is to carry out the production in the US. Thus, it’s actually “greener” to have your eucalyptus flooring planks manufactured at the same location as where the plant grows, as it will have to make only one journey. Unlike some plants that have to be planted and harvested on a rigid schedule, eucalyptus can be planted at any time. This flexibility in the growth cycle is excellent for the environment as it allows the farmer to stagger the growing season so that the plants won’t be all cut down at the same time. Indoor air quality is a burgeoning problem in America. The reasons for this include chemical cleaning products, volatile organic compounds (VOCs) used in furniture or floorboard manufacturing, and even mold or dust in our homes. Worse still, Americans tend not to spend much time outside inhaling fresh air. Too often, we’re stuck in the office inhaling recycled air or relaxing at home with the window closed to allow our air con to function correctly. While we should all be spending more time outdoors, we should also be able to exist in our homes and workplaces safely. That’s why you should always check to make sure that the manufacturer of your eucalyptus floors conforms to (the European E1 standard at minimum) and that they commission independent tests on their products every year. We recommend checking to ensure that the floors you purchase meet the CARB Phase 2 indoor air standard, a California standard that is the most strict in the world. This fluffy little marsupial (not a bear) is perhaps one of the cutest animals on the planet and, sadly, they’re classed as vulnerable by the International Union for the Conservation of Nature. Now, no one wants to see koalas become endangered or extinct, but there’s no need to avoid using eucalyptus floors because you’re worried about the effect it will have on this adorable Aussie animal. 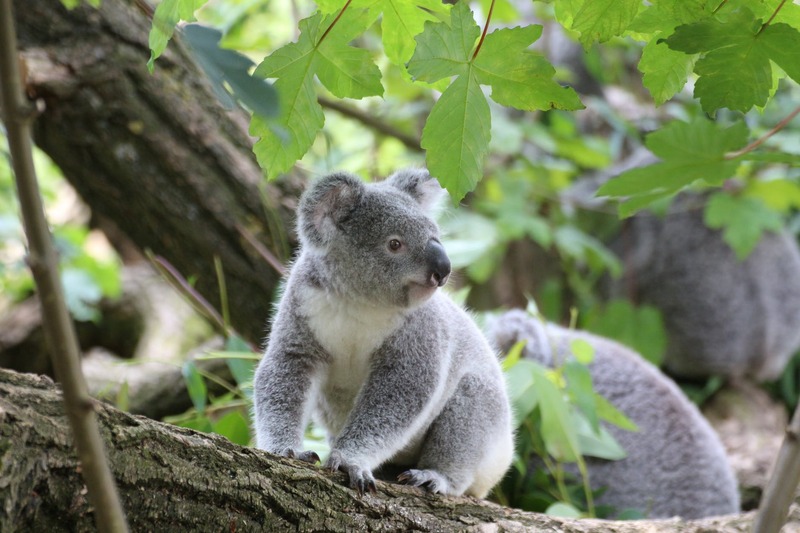 While that might seem strange, as the one thing that most people know about koalas is they feed on eucalyptus leaves for breakfast, lunch, and dinner; but it’s all about location. Koalas are only found naturally in Australia, and commercial eucalyptus farms are much more common in China and Brazil as mentioned already. How does eucalyptus compare with bamboo for eco-friendliness? Bamboo and eucalyptus share many of the same green credentials, from being better than hardwoods regarding hardness to being a rapidly renewable resource. Both types of flooring are much more eco-friendly than hardwoods, so whichever you choose, your conscience is clear and your house will look great. 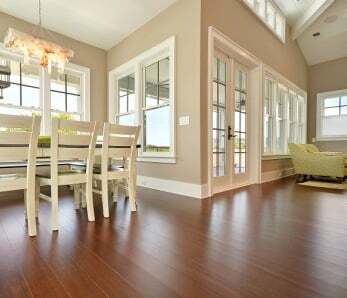 Affordable: While hardwood flooring can be quite expensive, eucalyptus flooring is often cheaper with no drop in quality. In fact, you can find it for as little as $3-5 per square foot. Bargain! Can suit any décor: Another major factor for anyone looking at flooring options is ‘how will it look in the room?’ Well, we’re happy to tell you that eucalyptus floors come in a wide variety of colors, patterns, and textures to suit any design scheme. 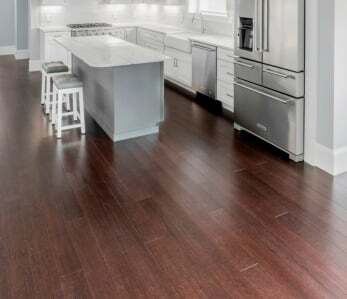 Easy to install: Even if you’re not a keen DIY-er, eucalyptus flooring is easy to install and should take no more than a day from start to finish. However, considering how affordable eucalyptus flooring is, you may prefer to spend the money you saved on hiring a professional and put your feet up. That’s about it from us on the eco-friendliness of eucalyptus floors, but now we’d like to hear from you. Do you have a eucalyptus floor? Are there any environmental benefits that we missed? Let us know all that and more in the comments below.